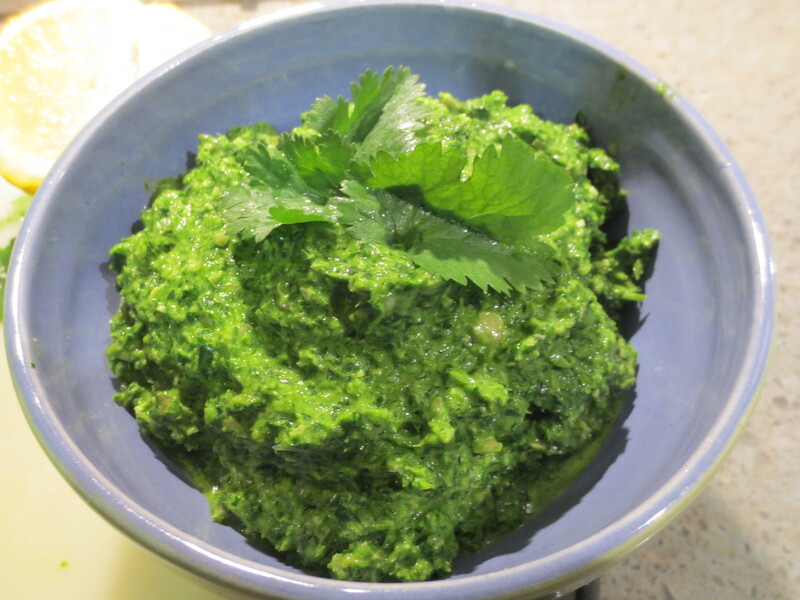 This recipe is a delicious variation of the traditional basil pesto. I make a lot of pestos and find that so many different vegetables can be prepared this way. It’s a great way to get kids to eat their veges (at least some kids! ), it doesn’t look like a veg, but a nice tasty spread. I also like my pestos creamier and much less oily than the traditional, but if you prefer yours to be looser, by all means add more olive oil, but you may need to adjust the seasonings to account for the extra oil. This pesto is fantastic mixed with pasta or any filled cheese pasta such as tortellini or ravioli, but it’s also equally good spread on a sandwich of grilled Mozzerella and Provolone or I imagine with grilled chicken a la Colin’s favorite sandwich from our local pizza joint of grilled chicken with broccoli rabe on a hero roll, or a nice spread on crostini or even drizzled over roasted vegetables. 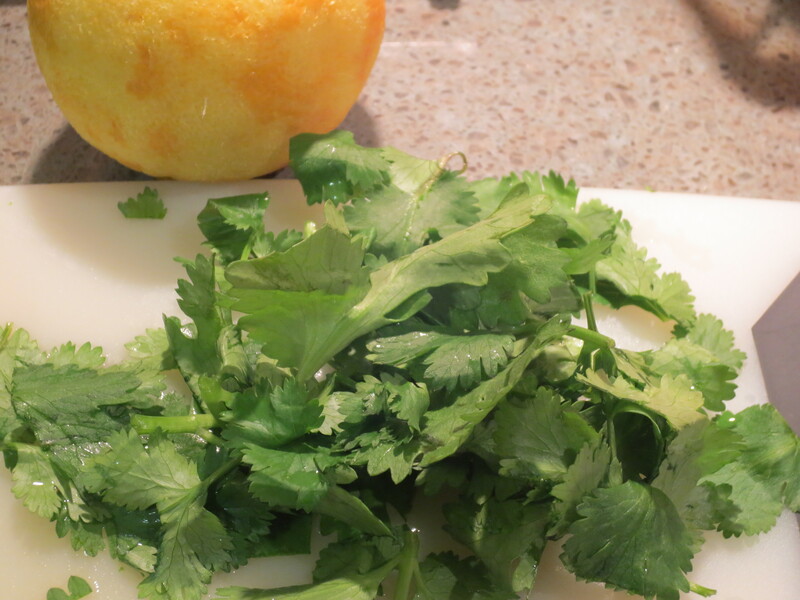 While the water comes to a boil, wash the Broccoli Rabe and cut the ends off the stems. Prepare an ice bath by filling a large bowl with ice. When the water comes to a boil, add a large pinch of salt and then the Broccoli Rabe to the pot. Blanch for about 1 minute and then immediately remove the Broccoli Rabe from the pot using tongs or a large handled strainer and place in the ice bath. Once the Broccoli Rabe has cooled a bit, drain it from the icy water. Roughly chop. 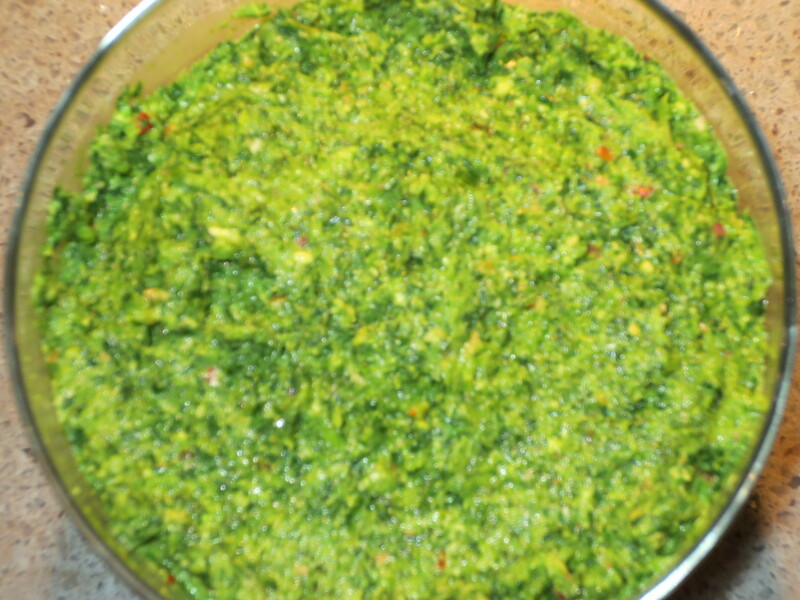 Add the chopped Broccoli Rabe and all other ingredients, except the cheese, into the bowl of a food processor and pulse until the mixture forms a paste. Pour the pesto into a bowl and then mix in the Romano Cheese. Enjoy! If serving over Pasta, scoop out a bit of the pasta cooking water to thin out the pesto to make it more of a sauce..
For Crostini, thinly slice a crusty loaf of baguette or Ciabatta bread, toast lightly with drizzled olive oil if you like and then top with Pesto. Additional toppings could be a thin sliver of Romano cheese or a small dollop of Ricotta cheese or some crumbled goat cheese or even some chopped Sun Dried Tomatoes. Stuffed Portobello mushroom, grill or roast Portobello and then fill with Pesto and top with cheese of choice. This is how we enjoyed the pesto most recently. Heat a grill pan or large skillet over medium heat and add some olive oil to the pan. Cut slices from a nice crusty loaf of Italian bread. 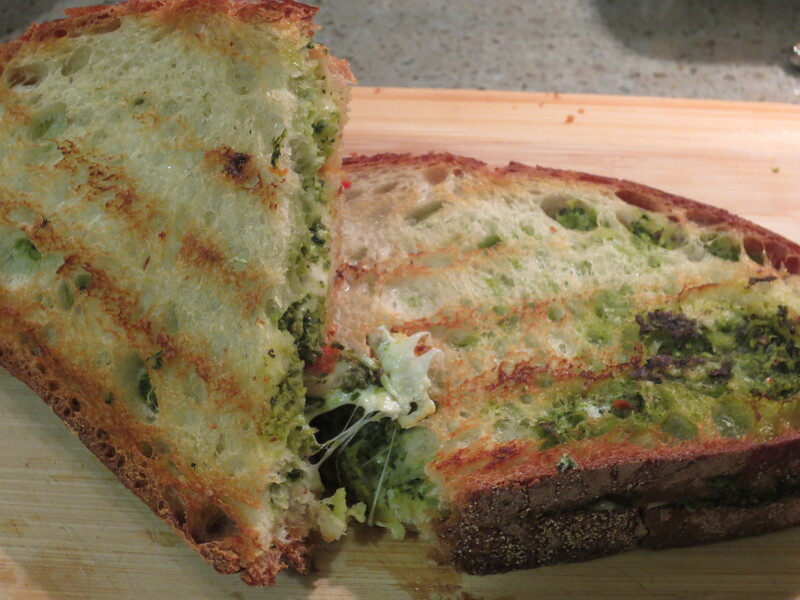 Spread each slice with some pesto and place in the heated skillet pesto side up. Top half the bread slices with slices of fresh Mozzerella and then top the other half with slices of Provolone cheese. If you like you can also add slices of fresh tomato or chopped sun dried tomatoes on half of the bread. When the cheese begins to melt, put the sandwiches together by combining a Mozzerella topped bread with a Provolone topped bread. Continue to cook until the cheese has melted completely and the bread is nicely toasted. Enjoy!